Spring return electrically actuated ball valves that are generally used for isolation and diversion in HVAC applications. Full bore ball valve which is suited for many applications offering reliability at an economical cost. Supplied completely assembled with a SRFA-R Electric Actuator. 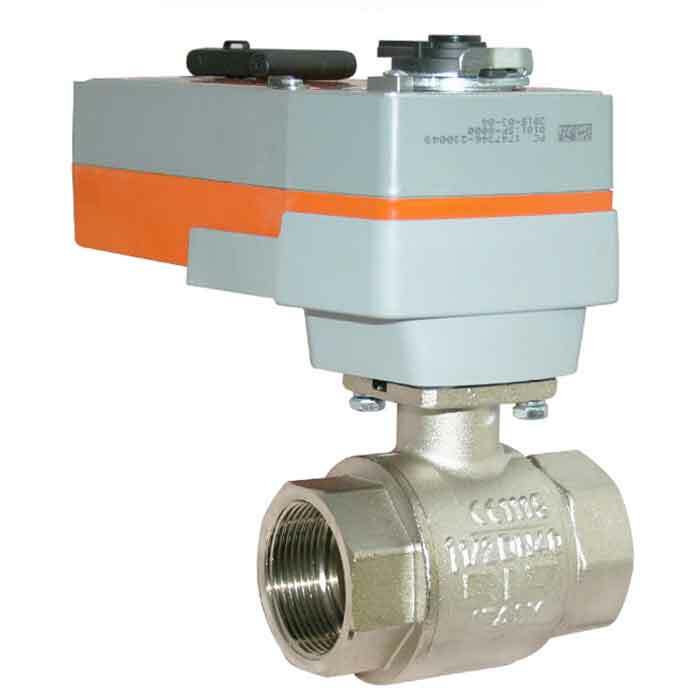 A WRAS approved (V4500 range) nickel plated, brass-bodied ball valve suitable for potable water. Supplied completely assembled with a SRFA-R Electric Actuator. 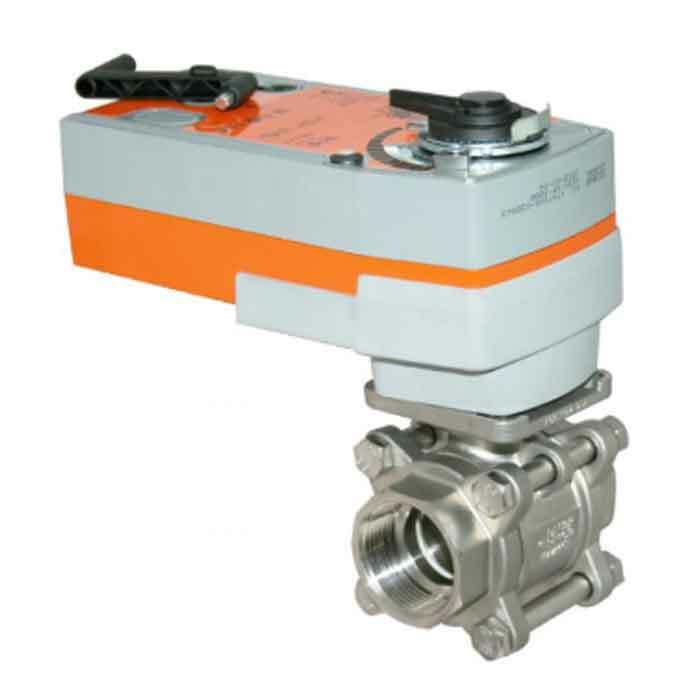 A versatile and robust three-piece stainless steel ball valve suitable for a wide range of isolation applications. Supplied completely assembled with a SRFA-R Electric Actuator.